Blackstone is leaving quite the trail of money to follow. 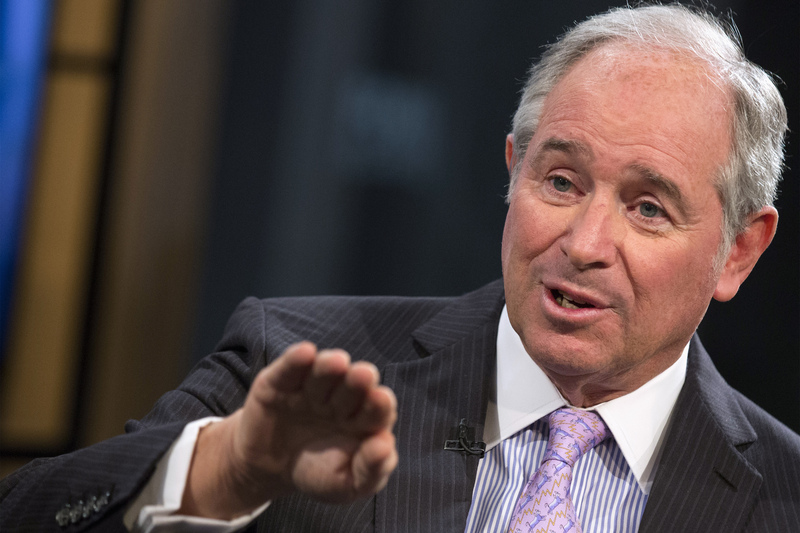 The buyout firm led by Steve Schwarzman generated record earnings in the first quarter, in stark contrast to the slog happening on Wall Street. It’s the latest sign of a power shift from banks to shadow banks, broadly defined. Having confined big lenders, watchdogs could pick up the scent on Blackstone and its ilk. By publishing its results on the same day as Goldman Sachs and Morgan Stanley, the divergence in fortunes was hard to miss. Blackstone’s economic net income increased by 30 percent and the amount of cash available to pay out to shareholders surged by 24 percent. Assets under management also climbed by 25 percent to $272 billion. While the two big investment banks exceeded the expectations of analysts, neither hit new highs the way Blackstone did. The constraints on big financial institutions keep taking their toll. Even JPMorgan boss Jamie Dimon, after years of putting up a fight against increased scrutiny, seemed resigned to the stricter new regime in his letter to shareholders this month. Losing a protégé and one of his top lieutenants, Mike Cavanagh, to Carlyle Group in March was another indication of how the less regulated world of private equity is stealing a march on its too-big-to-fail counterparts. The question is whether Blackstone and its peers could fall victim to their own success. They owe some of their growth to expansion in realms previously occupied mainly by banks. Buyout firms have started funds to provide loans to middle market companies, invest heavily in the U.S. housing market and increasingly seek to raise money from retail investors. Such activities, and the profits they generate, may ultimately attract greater regulatory scrutiny. The globally minded Financial Stability Board, in its shadow banking report last November, flagged how such firms potentially can be a source of a systemic risk when they perform bank-like functions and “when their interconnectedness with the regular banking system is strong.” And even though its individual funds are independent of each other and the money in them is typically locked up for a decade, these risks aren’t lost on Blackstone either. Tony James, Schwarzman’s right-hand man, quipped on Thursday that legal and compliance are the fastest growing parts of the firm. He also penned a Wall Street Journal op-ed last month that tried to fend off unnecessary oversight simply because of the “negative, vaguely sinister connotation” of the term shadow banking. It’s a little reminiscent of Dimon’s tone a few years ago. James may find himself in a similarly frustrating fight. Blackstone Group on April 17 reported a 30 percent increase in first-quarter earnings, powered by strong gains in its private equity arm. The firm generated economic net income, the industry’s preferred measure of profitability, of $814 million. Distributable earnings, or the cash available to pay out to investors, increased 24 percent to $485 million. Assets under management at Blackstone rose 25 percent to $272 billion.